I traveled down to be with Mom and Dad on Easter and we decorated cookies today, great fun! Momsu says: This bunny looks like he's made out of china. 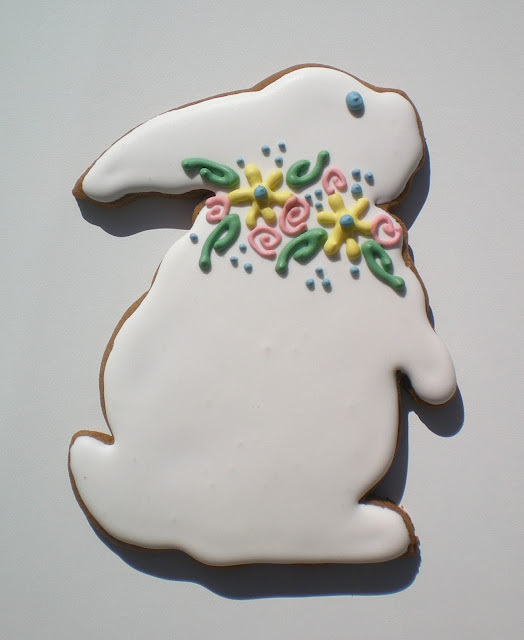 Great job with the cookies this Easter, Jill!